Acorn provides this Blowout Jet toilet complementing the Meridian® product line, ideal for commercial facilities. The toilet features a wall waste outlet. It is available with Top Supply, Wall Supply, Off-Floor, On-Floor, Front Mount, Rear Mount and ADA configurations. 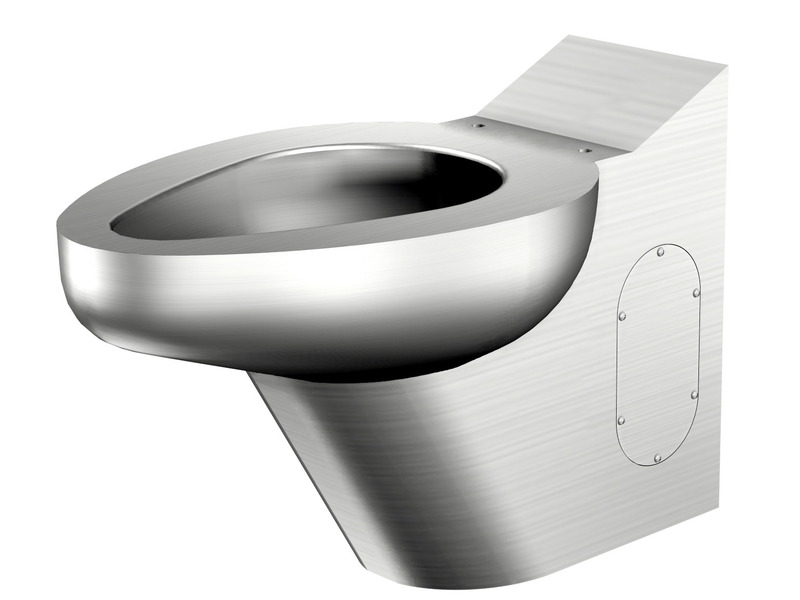 This toilet is manufactured with heavy gage type 304 stainless steel and features a wall waste. It is available as an off-the-floor unit or on-the-floor unit (both versions provide a standard seat height of 15" (381 mm). It can be configured with top supply (typically with an exposed flush valve, wall supply (typically with a concealed flush valve), front mount, rear (accessible pipe chase) mount, and ADA 18" (457 mm) seat height. A rear (chase), floor mount Ligature Resistant version of this toilet is also availalble by specifying LR2140.